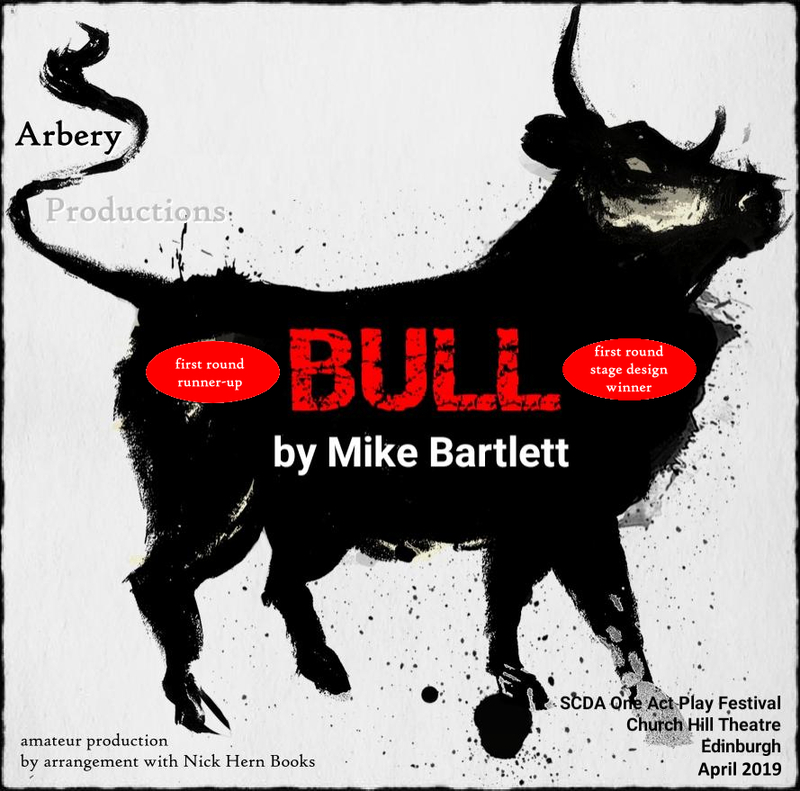 Arbery Productions' Bull won second prize in the Edinburgh Division of the Scottish Community Drama Association One-Act Festival in February and the prize for best stage presentation; the play will next appear in the Eastern Division round at the Church Hill Theatre in Edinburgh on 6 April and will be staged at the Edinburgh Fringe on 12 - 17 and 19 - 24 August. At the end of the day, in her house in the country, a grandmother remembers her first date, the man she married and their life together. A moving and intense one-woman play. 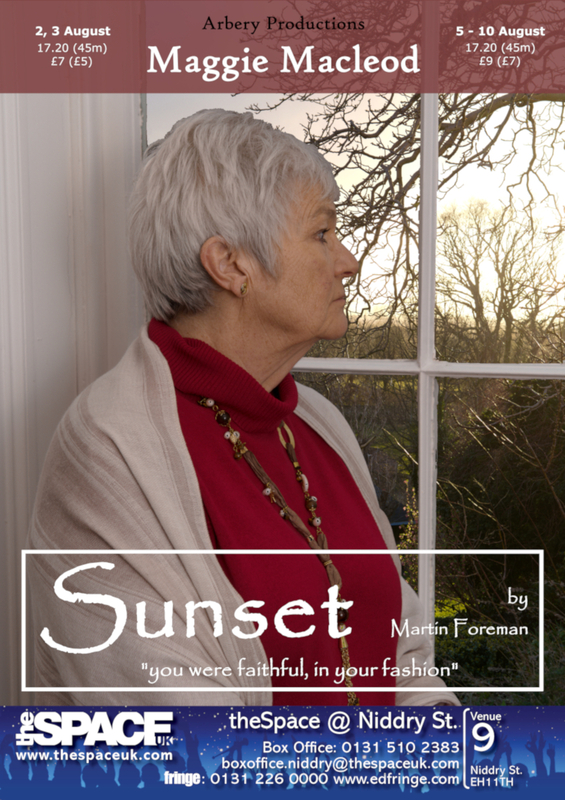 Martin Foreman's Sunset, premiered at the King's Head Theatre in London in 2013 as one of a trilogy of plays, Californian Lives. 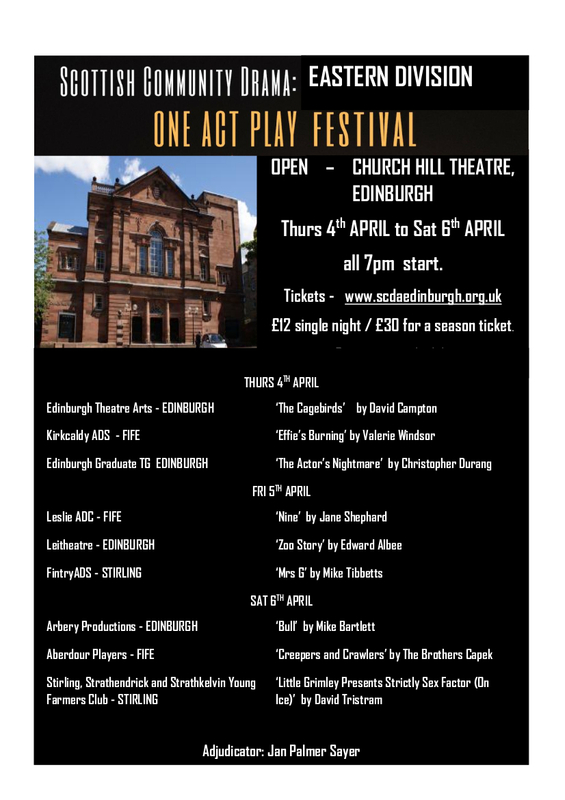 Carolyn Lyster, who began her career in the ITV soap Crossroads and then had regular appearances in the West End in Ray Cooney farces and other plays, played the unnamed protagonist. Broadway World praised the "utterly convincing portraits of love" while Beige magazine called the evening "a masterclass in the art of the monologue." 2, 3 and 5 - 10 August.